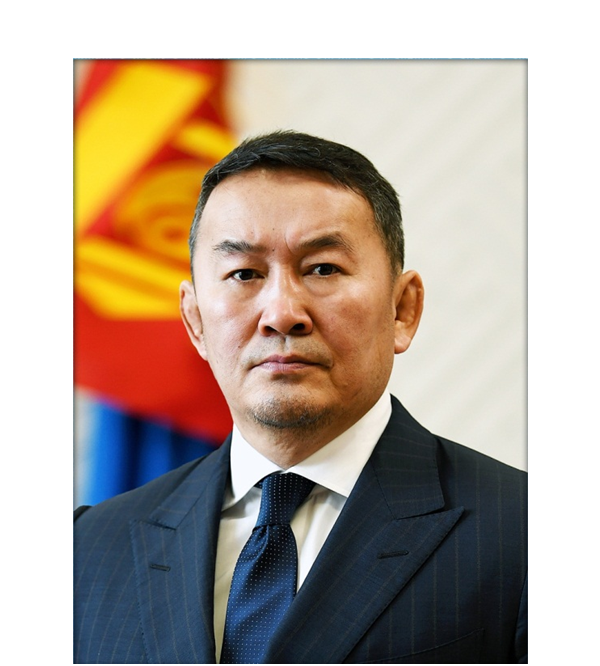 In the morning of February 5th, the first day and month of the Year of the Yellow Pig, President of Mongolia Khaltmaagiin Battulga paid tribute to the Nine White Banners, the symbol of the perpetual rise of the Mongolian statehood and harmonious dwelling of the nation with its people. 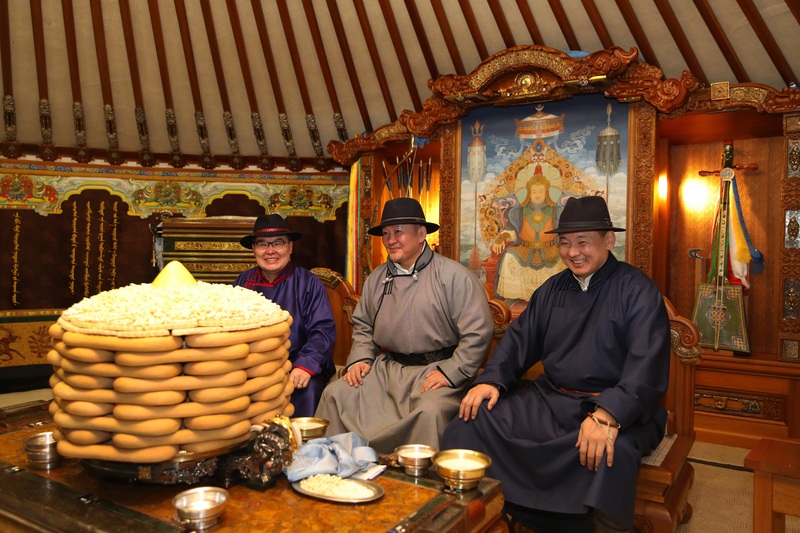 After this, the President was welcomed by Chairman of the State Great Khural G.Zandanshatar and Prime Minister U.Khurelsukh with blue ‘khadak’ in their hands at the State Ceremonial Ger. 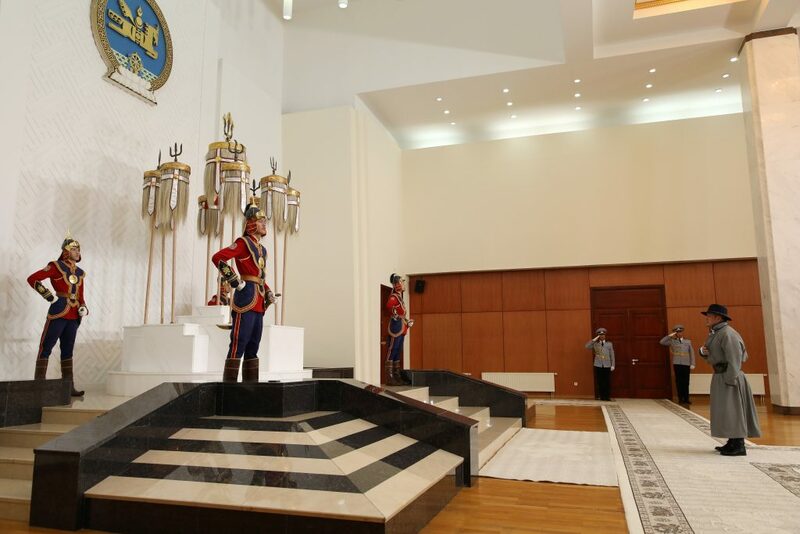 They participated in the state greeting ceremony ‘Zolgolt’, greeting each other with khuurug (snuff bottle). 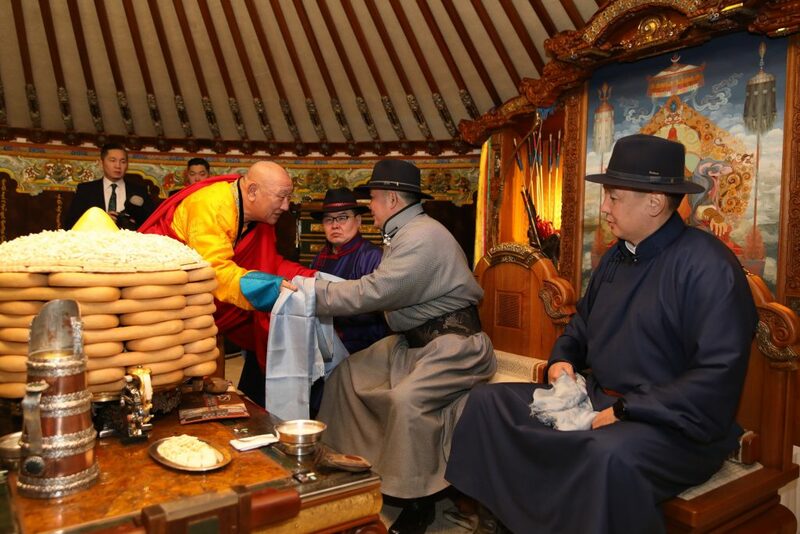 While exchanging the snuff bottles, they exchanged views on the prospects of the Year of the Yellow Pig. 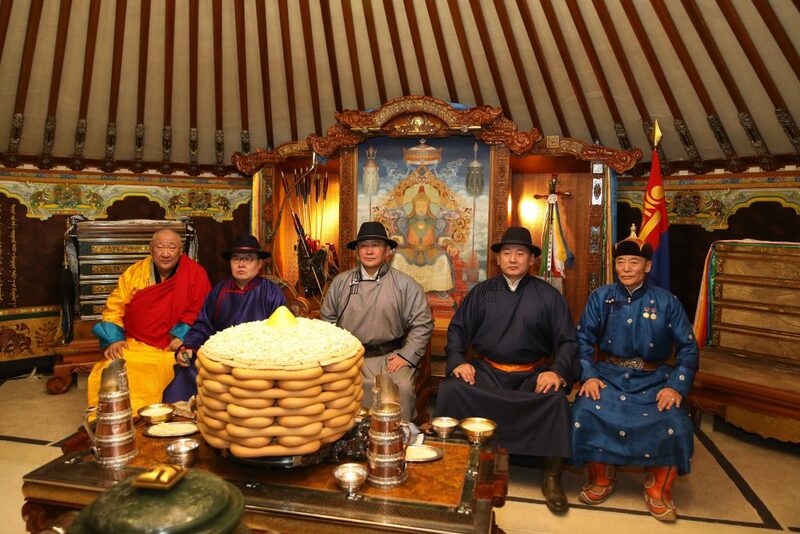 Following tradition, People’s Artist, State Honored Cultural Figure, artist Ts.Tserendorj performed a traditional praise song with the State Great Morin Khuur, inviting joy and prosperity for the nation. 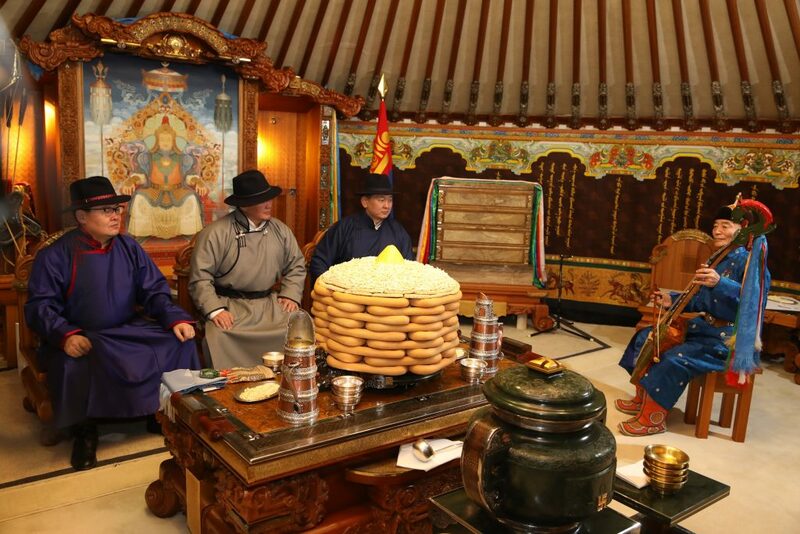 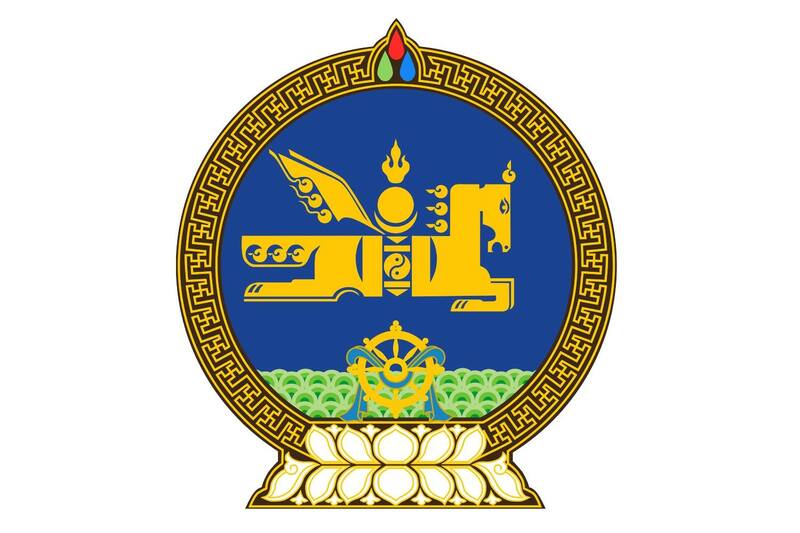 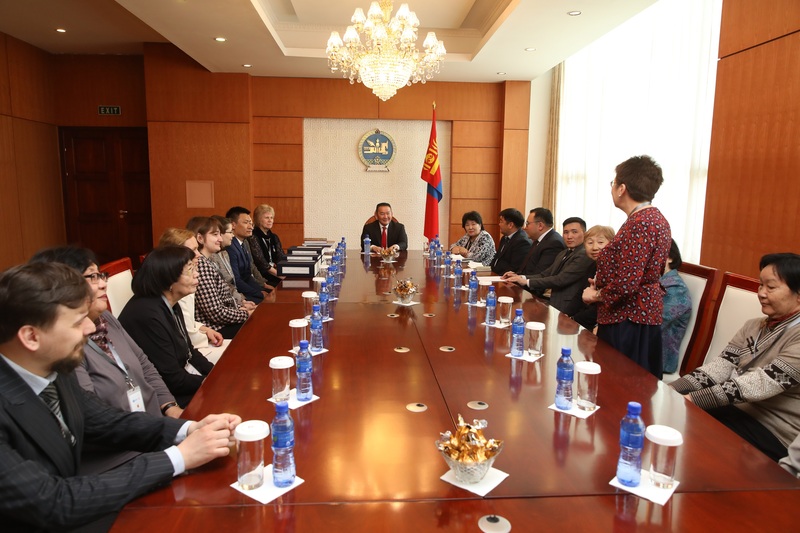 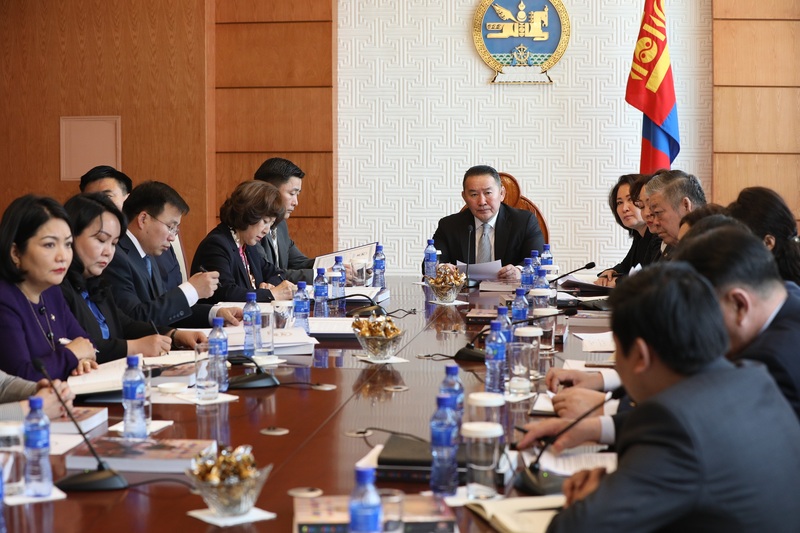 Khamba Lama D.Choijamts of Gandantegchenling Monastery, the central institution of Mongolian Buddhists, arrived in the State Ceremonial Ger and discussed the prospects of the upcoming Year of the Yellow Pig with the President, the Chairman of the State Great Khural, and the Prime Minister.